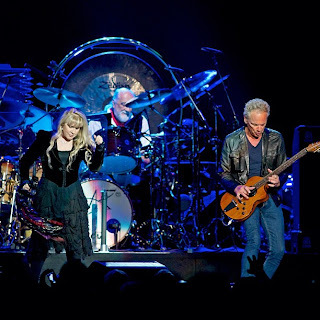 It took all of 60 seconds for Fleetwood Mac to roll back a lot of years at Joe Louis Arena. In a 2-hour, 40-minute set that showed the harmonies were still intuitive, the bonds still tight, the songs still timeless, the veteran pop-rock outfit played a mature but energetic set to an adoring sellout crowd of about 15,000 Wednesday night. 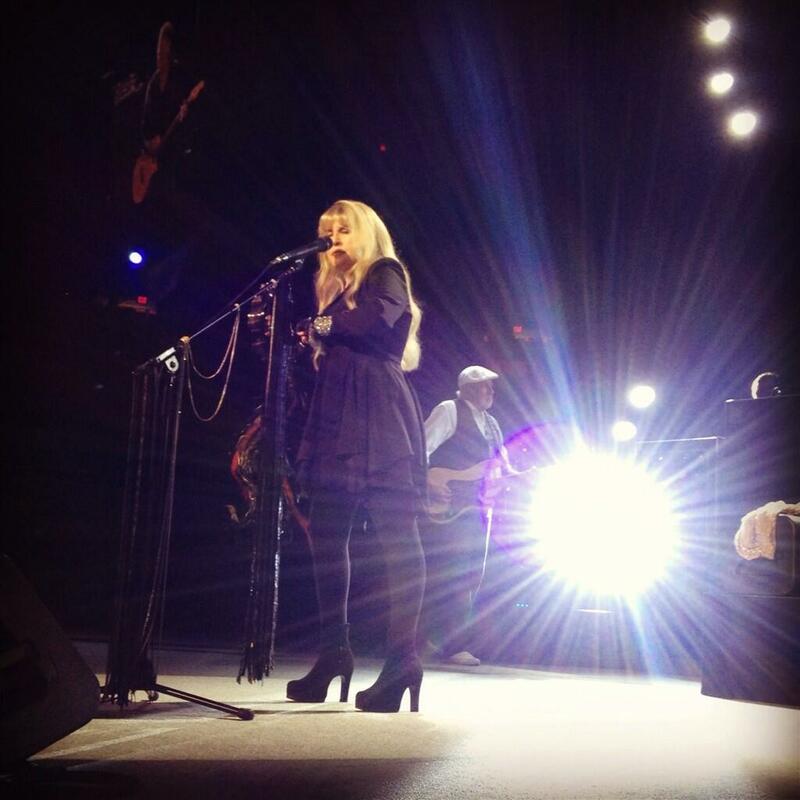 It was the group’s first Michigan show in four years. 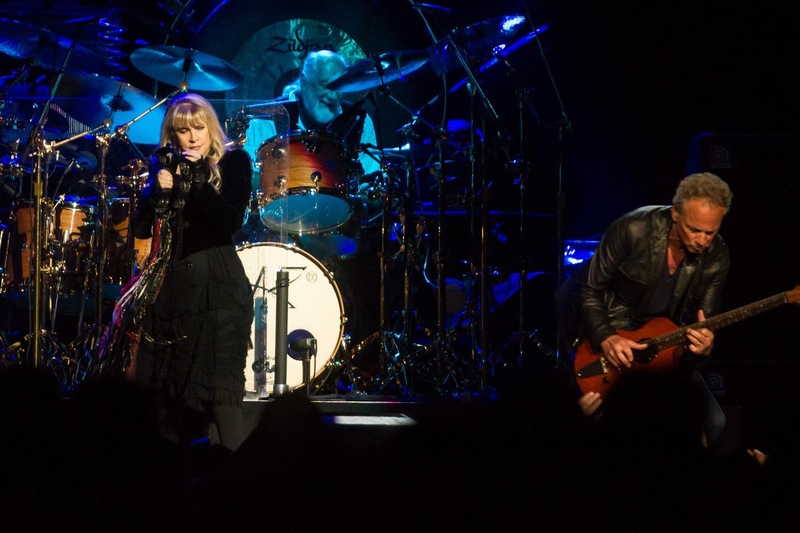 “It would seem there are quite a few chapters left in the book of Fleetwood Mac,” Buckingham told the crowd early on, during one of several talkative interludes that found band members reminiscing, reflecting and taking stock of their nearly four-decade journey. 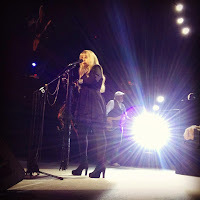 As the voices of Buckingham and Nicks locked together on numbers such as “Rhiannon,” the amiable ex-lovers displayed the tightly wound harmonies that became one of modern pop music’s most distinctive sounds. It wasn’t just a rote run through the hits: The band was particularly engaged with a mid-show journey through the more challenging material of “Tusk,” and Buckingham’s spare, intense reworkings of “Big Love” and “Never Going Back Again” were showstoppers. With his lithe, expressive guitar lines, the 63-year-old reaffirmed his status as one of rock’s great underrated players. 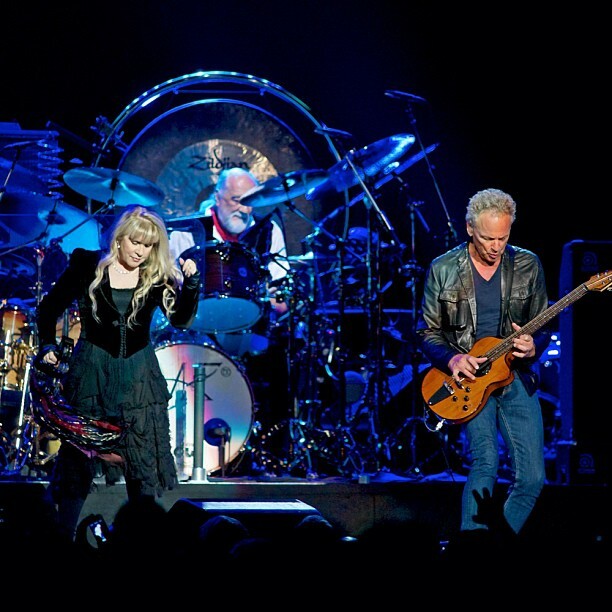 The emotional energy grew as a blazing “Go Your Own Way” closed out the regular set, followed by an encore that included a typically feisty Mick Fleetwood drum solo and finished with a warm and sparkling “Say Goodbye.” It was a stirring, soaring night from a band that still knows how to seduce its audience. Did anyone get Stevie's final "speech" on film?